Pain, sorrow, struggle, resilience, fortitude, truth - deeply profound emotions and experiences form the core of the Delta blues. 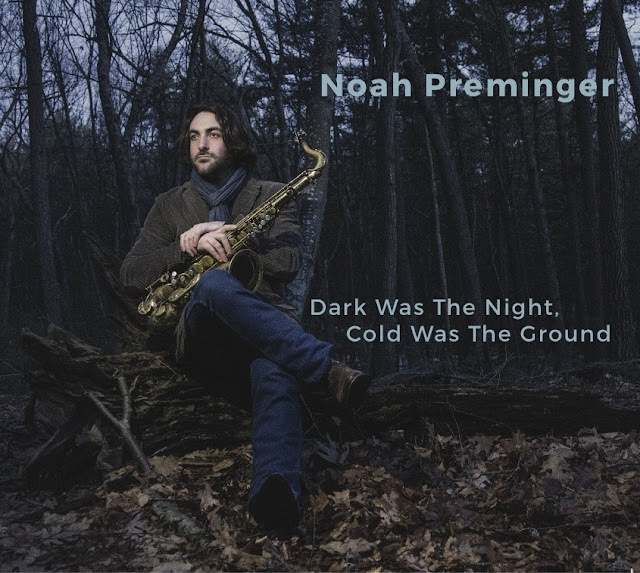 The raw, unvarnished songs of that region struck a powerful nerve with saxophonist Noah Preminger, who connects with their captivating directness and soul-rattling expressiveness on his fifth album, Dark Was the Night, Cold Was the Ground. On the second release with his highly attuned, boldly adventurous quartet, Preminger explores nine haunting blues classics from the pre-war Mississippi Delta in stark but vigorous new arrangements. Due out May 6, 2016, Dark Was the Night, Cold Was the Ground was recorded at the Sidedoor Jazz Club in Old Lyme, Connecticut, and engineered by Jimmy Katz. Preminger hails the renowned photographer/recording engineer for his dedication to capturing a "pure" sound, and the evidence is there in the vital, unadorned live feel of the record - which was captured live with absolutely no overdubs. Katz allowed the quartet a tremendous freedom but also brought his vast depth of knowledge to the project whenever needed. The album follows last year's similarly self-released Pivot: Live at the 55 Bar, which offered a wholly different take on the source material. On that album, Preminger and the same stellar band - with Jason Palmer (trumpet), Kim Cass (double-bass) and Ian Froman (drums) - offered far-ranging expansions of two Bukka White songs, stretching both past the 30-minute mark. Dark Was the Night, Cold Was the Ground presents a more concise but no less keen-edged approach, expanding the repertoire to include songs by such immortal bluesmen as Skip James, Robert Johnson, Charley Patton, Blind Lemon Jefferson and, once again, Bukka White. 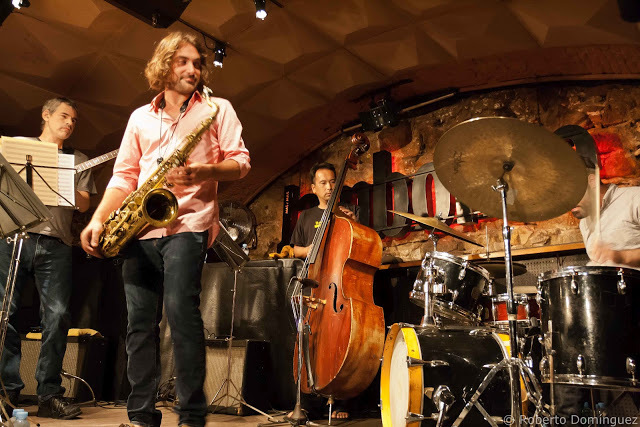 The quartet seizes on the stirring melodies and fervent emotions of the originals while taking them into the intense, venturesome realm of fearless jazz pathfinders like John Coltrane and Ornette Coleman. Preminger says that the Delta blues is "the most real, most heartfelt music that I've ever heard. It has all the characteristics that I want in my playing: sincerity, storytelling, and an urgency to get my message across. I love that music, and I love their voices." The saxophonist's fascination with the music of these Delta bluesmen stems not from any particular revelation or event - there was no soul-searching trek down the Mississippi or life-altering tragedy that suddenly allied Preminger with these singers. "These are guys who spent most of their lives in jail or on a farm and were drunks or led really messed-up lives, so the things they talk about I can't necessarily relate to," he admits. "But it's very real, and you don't hear that very often in contemporary music. It's not a poor man's music anymore. They had everything going against them; they weren't drinking tea and doing yoga." If anything, it's this disillusionment with more modern music and its more cerebral, less rooted nature that made the Delta blues resonate so strongly with Preminger. 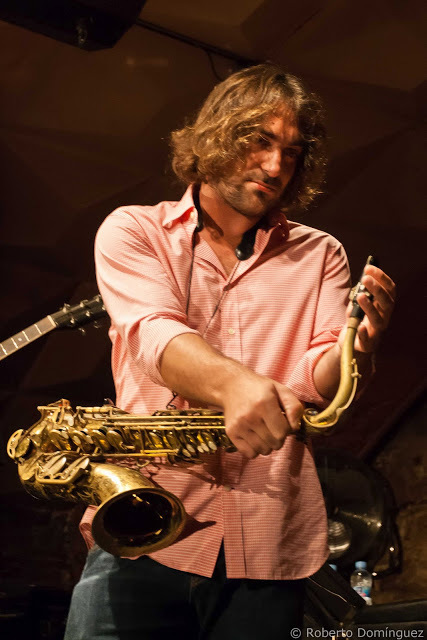 The saxophonist insists that he rarely listens to recorded music at all these days, and only to vintage blues recordings on the rare occasions that he does. "I think that a lot of artists today have a hard time separating themselves from trends," he explains. "So something that recently came to me is I need to be making the music that I really want to make and throw everything else out the window. The most important part is that it be heartfelt and sincere and intense. I want people to feel something. You feel real emotion every time that you listen to the greatest masters in the history of this art: John Coltrane, Billie Holiday, Andrew Hill, Bill Evans, Miles Davis, Ornette Coleman. That's missing now." It's impossible to listen to blues artists like Skip James or Bukka White and not feel something, and while Preminger transforms their music he retains its ability to touch the listener. Over an intense pulse, he and Palmer echo James' call-and-response vocal on "Hard Time Killin' Floor Blues;" a fragment of the melody of Robert Johnson's "Love in Vain" becomes the source of the quartet's achingly mournful rendition. On the title track, Blind Willie Johnson's moaning original is slowed even further, becoming a dirge-like lament interspersed with sections of group improvisation. The familiar melody of "Trouble in Mind" is expressed as a yearning hymn, introduced in an intimate duo setting by Preminger and Cass. Willie Brown's "Future Blues" is given a spare, soulful treatment which grows increasingly turbulent during the solo sections thanks to Froman's roiling rhythm. Preminger and Palmer channel the tandem of Ornette Coleman and Don Cherry for "Spoonful Blues," while "Black Snake Moan" is imbued with a playful, New Orleans funkiness. White's "I Am the Heavenly Way" is taken with a fierce urgency, and "I Shall Not Be Moved" closes the album in sanctified, almost elegiac fashion. In this still-new quartet, Preminger has found an ideal unit for investigating the possibilities of such communicative, mutable music. "These guys are special, and you just don't find that all the time," he says. "It seems like everyone's very spiritual and very kind, and just like these Delta musicians, everyone in this band plays like it's their last day on earth. It makes coming together a pretty special time. I think this band could do anything." 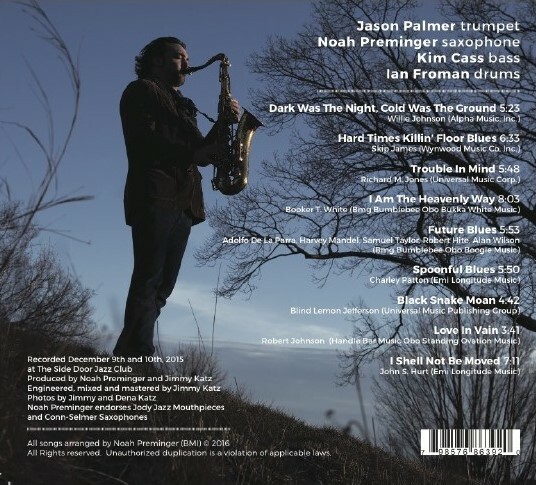 A native of Canton, Connecticut, Preminger released his debut album, Dry Bridge Road, shortly after graduating from the New England Conservatory. 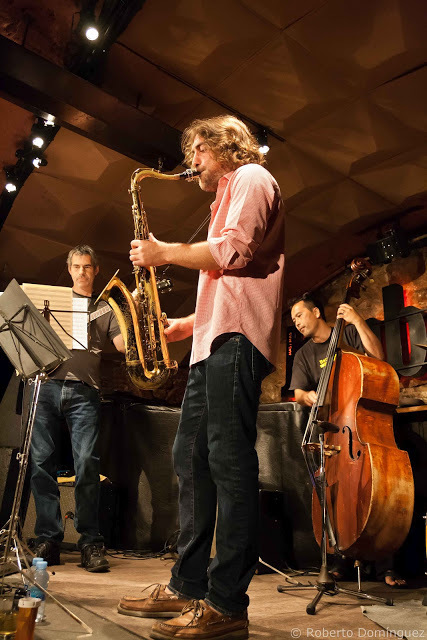 It immediately met with great acclaim, including Debut of the Year honors in the Village Voice Critics Poll and Top 10 Albums of the Year rankings in JazzTimes, Stereophile and The Nation. 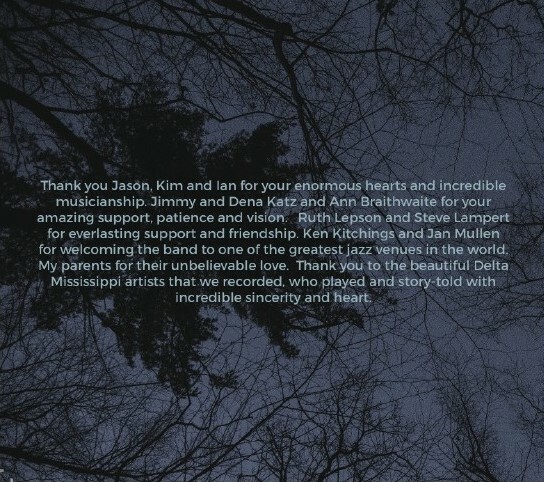 It was followed by Before the Rain (2011), featuring pianist Frank Kimbrough, bassist John Hébert, and drummer Matt Wilson; and Haymaker (2013), with guitarist Ben Monder, bassist Matt Pavolka, and drummer Colin Stranahan. Both garnered more praise, with the New Yorker calling Preminger "a lyrical young tenor saxophonist whose alert work on three albums has drawn considerable critical attention." 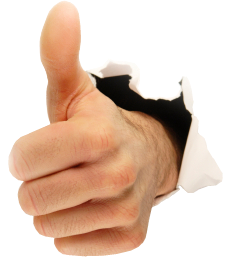 Preminger has also been featured in bands led by Fred Hersch and Cecil McBee, and recorded four albums for Brooklyn Jazz Underground as a member of the Rob Garcia 4. 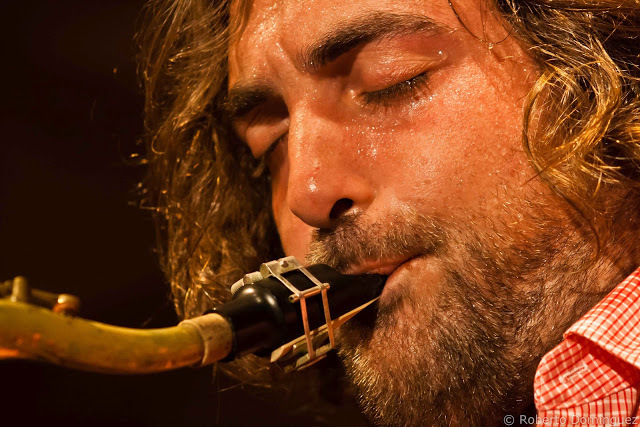 He's shared the stage with the likes of Dave Holland, Dave Douglas, Victor Lewis, John and Bucky Pizzarelli, Billy Drummond, George Cables, Roscoe Mitchell, and Dr. Eddie Henderson. 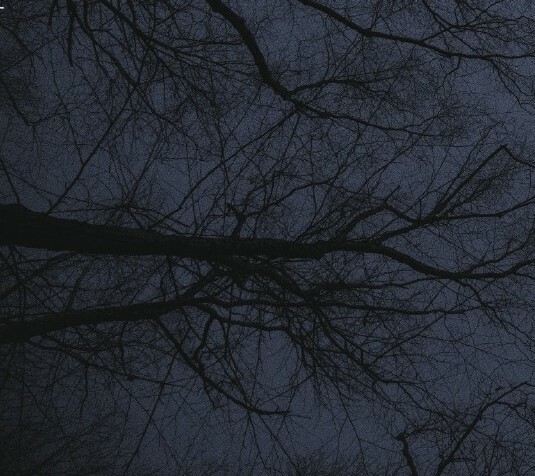 In addition to Dark Was the Night, Cold Was the Ground, 2016 will also see the release of a quartet album featuring Monder, bassist John Patitucci, and legendary drummer Billy Hart on the French vinyl-only label Newvelle.